With one final click, you’ve got your ticket booked to Music City. You’re ready to head down to Broadway and hit all the Honky Tonks, drink bottomless mimosas, and learn all about country music. Or are you? There’s more to Nashville than what initially meets the eye. 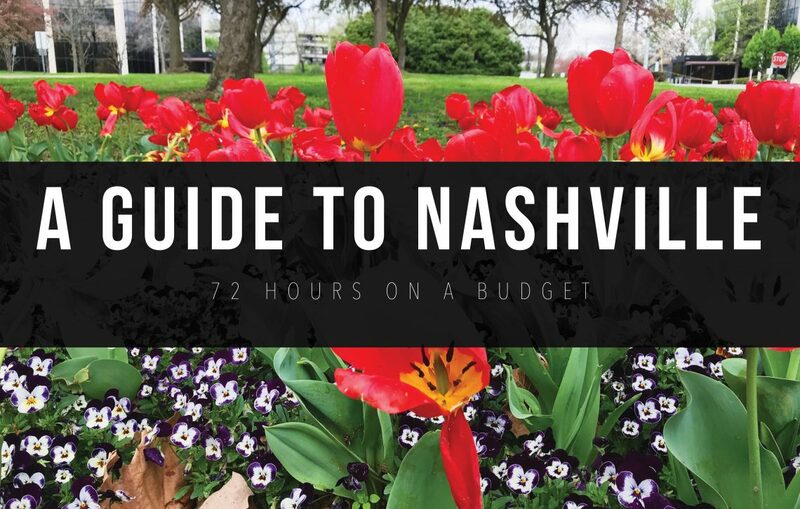 While it’s great to connect with your country roots and drink a mimosa or two, I’ve got a guide for you that touches on some of the free/inexpensive things to do in Nashville you might not think about upon first booking your trip. This post was inspired by a friend coming into town for a long weekend. 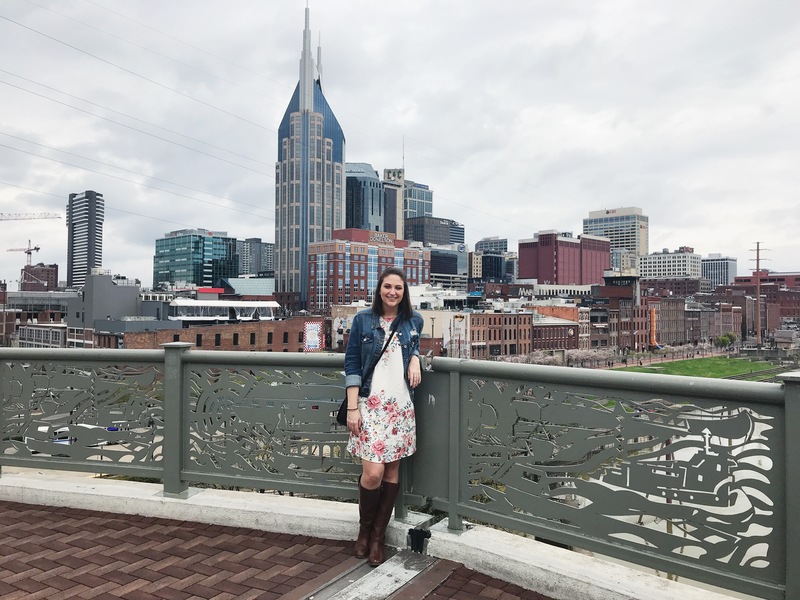 It’s partly a chronicle of her trip, but also just some fun activities to do if you’ve got a long weekend in Nashville coming up. Your plane lands early on Friday afternoon. What to do? I highly recommend just taking a stroll through one of the neighborhoods across town. Nashville is separated into over 15 neighborhoods each with it’s own flare and taste of the city. Some are better for walking around than others, so I recommend 12 South, Hillsboro Village, or the Gulch on a Friday afternoon. If you’re into murals, boutiques, and amazing food all of these neighborhoods have something to offer. After your stroll about Nashville, grab some food at a local restaurant. There’s probably no better place in the world than Nashville to gain 20 pounds. With a host of local and national chains, you’re sure to find something for everyone. On 12 South, I recommend Bar Taco or MAFIAoZA’s. In Hillsboro Village, you can never go wrong with The Grilled Cheeserie. And The Gulch offers Burger Republic, Whiskey Kitchen, and more. If it’s your first time in Nashville (and you’re 21+), I recommend going down to Broadway. It’s the classic place to see bachelorette’s out on the town, and there’s actually some really good live country music if you’re into that. It’s a strip of bars, and it’s a must-do if it’s your first time in the city. A plus is that most of the bars have rooftop access so you can see all of downtown lit up while sipping a beer or cocktail. The great thing about Nashville is that it has something to offer everyone. You can spend all day downtown if you like, or you can lace up your sneakers and head off on a hike. 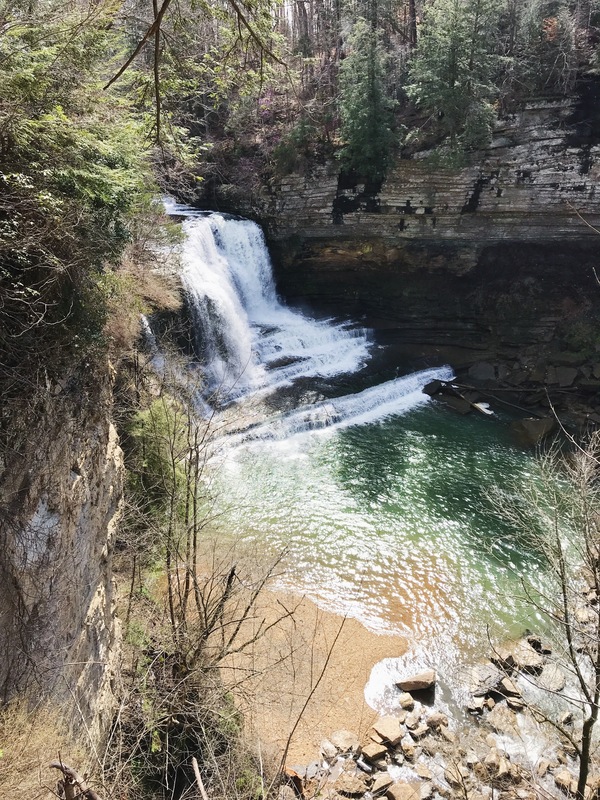 There are easy trails right near the city like Lake Radnor or Percy Warner Park, or you can head a bit farther out of the city and check out some falls at Cummins Falls State Park or Burgess Falls State Park. 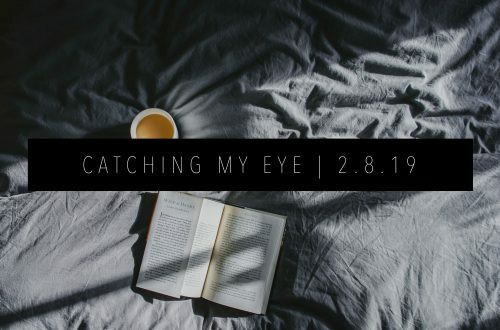 You can make this a morning activity or plan for it to take up your entire day — the choice is yours. While my friend was in town, we went to Cummins Falls which was beautiful, but we were looking to be outdoors a little longer than the trail offered, so we headed to Defeated Creek Campgrounds and hiked the Bearwaller Gap Hiking Trail. 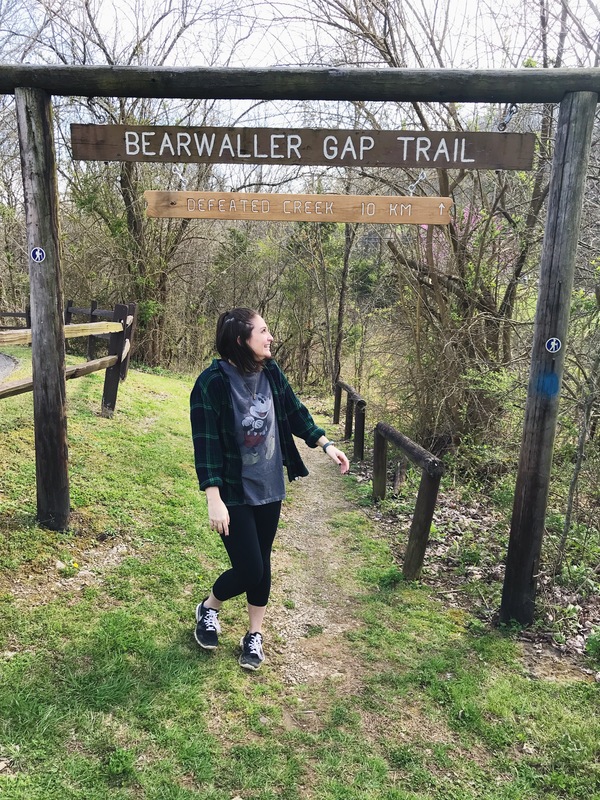 While I don’t necessarily recommend this hiking trail for beginner’s, it is an all day affair if you’re looking for a way to hang out in nature. It took my friend and I about six hours to hike up and back, but we easily could have spent more time out there if we hadn’t needed to beat the sunset to get back to my car. 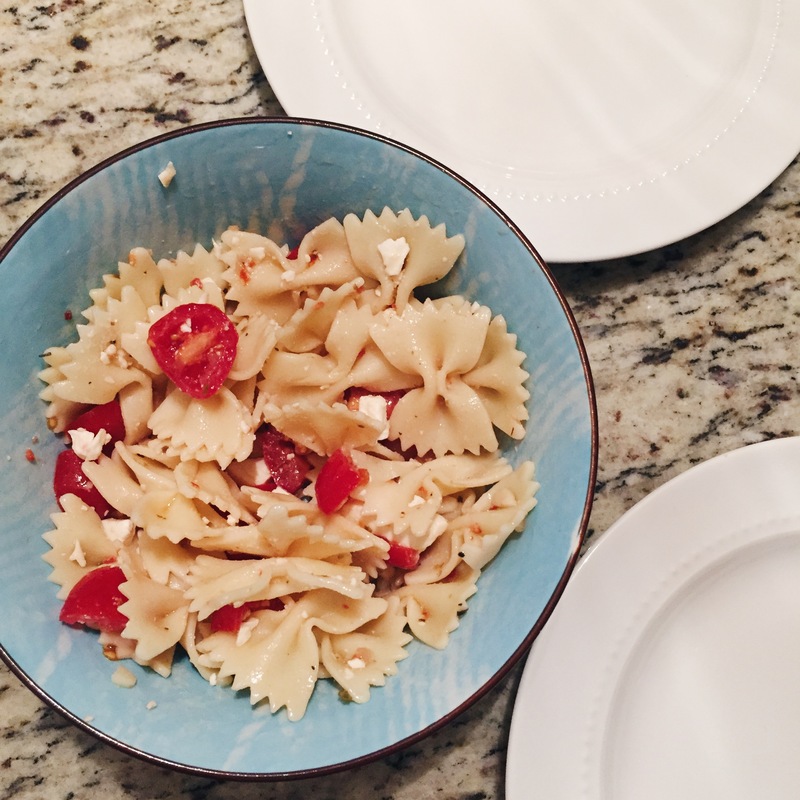 After a lengthy hike, you’re sure to want some delicious food. I recommend hitting up DeSano Pizzeria in Midtown. You can share a homemade pizza in a low-key atmosphere, and you can hit up some bars afterward or tuck in for an early night. It’s Sunday! What does that mean? Sunday brunch. I wish I could give you the ultimate spot for brunch in Nashville, but you seriously can’t go wrong. There’s fun places where you can make your own pancakes (the Pfunky Griddle in Berry Hill), classic brunch spots like Milk & Honey (the Gulch), or places with live music like The Sutler (Melrose). Places offer a variety of brunch foods like pancakes, biscuits, grits, and more, and you’re chowing down on a true southern brunch is always an option. Also, most brunch spots offer bottomless mimosas if that’s something you’re interested in (I know I am)! After you have all the brunch noms you can handle, head to one of the public parks in Nashville. We decided to stop by Centennial Park to check out the huge replica of the Parthenon that calls Nashville it’s home. While you’re there, stop by the NoBaked Cookie Dough shop for your favorite flavor of cookie dough without the risk of salmonella poisoning. It’s truly delicious, and the people who work there are super friendly! To finish off your Sunday in Nashville, I recommend taking another trip downtown. It’s a completely different experience in the daylight. I took my friend to the pedestrian bridge which gives you a great view of downtown and East Nashville. You can stop in for a drink at a bar, walk around Capitol Hill, and do some souvenir shopping. If you’re interested, downtown also offers a handful of museums including the Tennessee State Museum. You can also enjoy some art by visiting the Frist Center for the Visual Arts. It’s an art museum that operates on a rotating cycle of exhibits. My favorite exhibit when we visited was the Nick Cave exhibit which featured mixed-media creations from the Chicago-based artist. For dinner, I recommend heading to Taco Mamacita in Edgehill. I took some friends there back in October, and I didn’t hear a single complaint about the food. It’s a quieter part of town, too, so you’re sure to get a different vibe of Nashville than you would downtown. Your time in Nashville is coming to an end. That’s okay though because you’ve still got some Nashville classics to hit. Monday is the perfect day to hit up the Farmer’s Market by Bicentennial Capitol Mall. The Farmer’s Market is home to a handful of different eateries including my favorite, Jamaica Way. If Jamaican isn’t your thing, there is also Korean, Ethiopian, BBQ, and more. 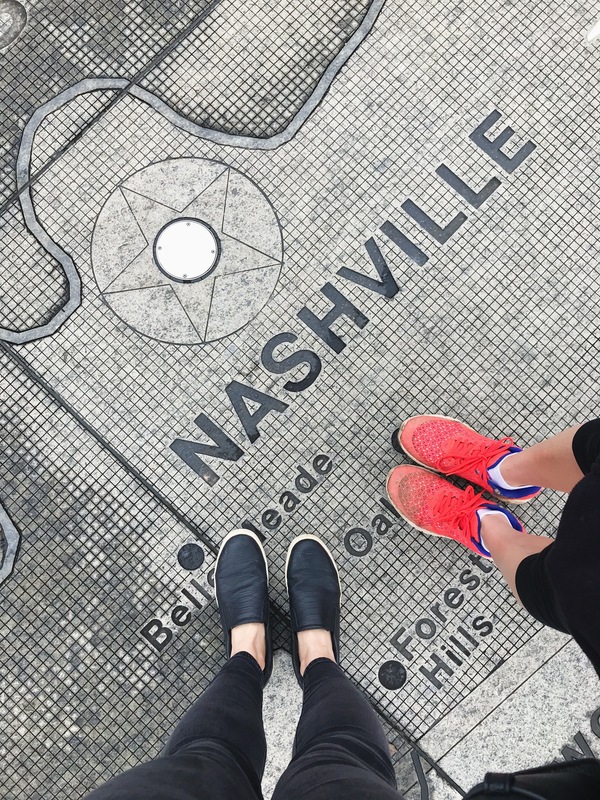 After your stomachs are satisfied, you can take a quick stroll around the park and learn about Nashville’s rich history in the world. From the park, you get an awesome view of Capitol Hill, and you get to walk off your lunch at the same time! It truly is a win-win situation. If you’ve got time, I suggest squeezing in some souvenir shopping at Marathon Village. This is also home to the American Picker’s store, Antique Archeology, which is a huge hit with tourists. Along with a tasty candy shop, some hair salons, and the Jack Daniel’s General Store, Marathon Village is home to a bunch of local business (including where I work). You can even tour a local distillery! Unfortunately, it’s probably about time for you to hop on your plane. 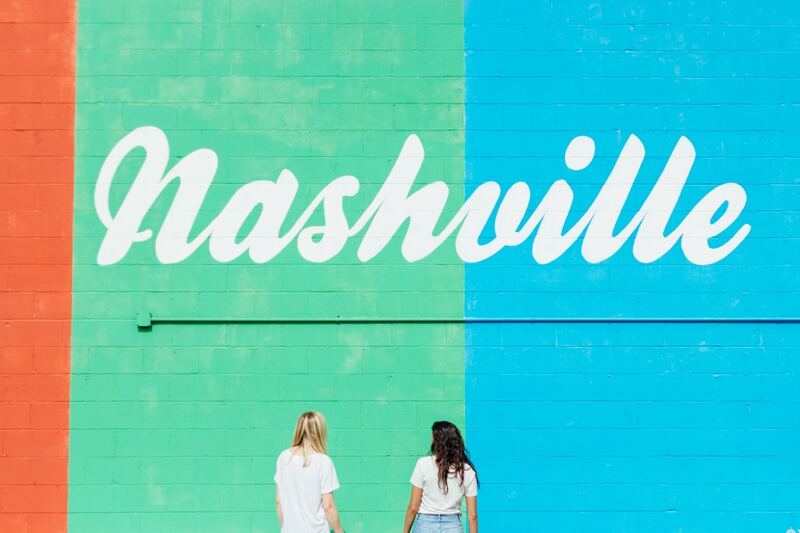 I know, I know, you can’t imagine leaving such a wonderful city, but the great thing is, Nashville is only a short flight away any time you want to enjoy everything it has to offer. Hi there to all, since I am really eager of reading this webpage’s post to be updated regularly. I’m relatively sure I will learn lots of new stuff right here! It looks like you had so much fun!! I went to Nashville once, but only spent a night there. I did walk around and see some cool places though! But I would like to go back and do some exploring one day! It’s an awesome place! I actually live here! Glad you got to experience it some.